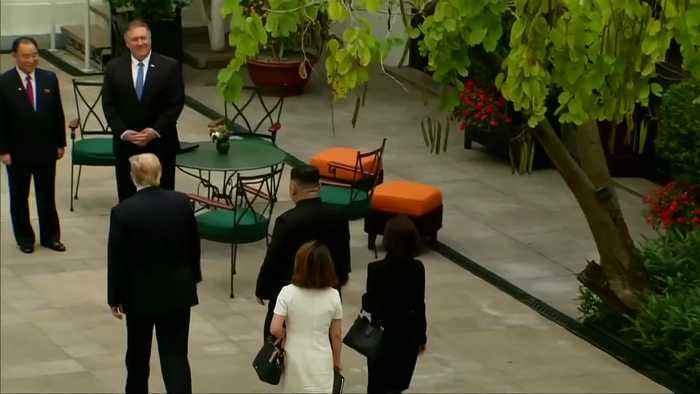 On the second day of their summit in Vietnam, U.S. President Donald Trump and North Korean leader Kim Jong Un take a quick break with a walk through the Metropole Hotel garden. 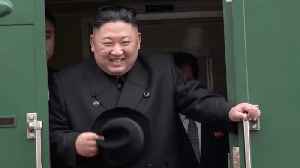 (ROUGH CUT: NO REPORTER NARRATION) U.S. President Donald Trump and North Korean leader Kim Jong Un took a brief stroll on Thursday (February 28) in the courtyard of the Hanoi hotel where they are meeting for the second day of summit talks. 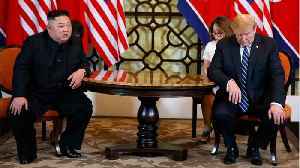 They emerged from their first session of the day, after about half an hour, and were joined by Kim's top envoy Kim Yong Chol, U.S. Secretary of State Mike Pompeo and interpreters. 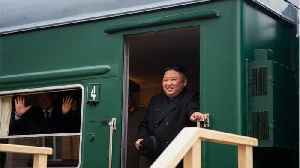 They chatted and gestured in the leafy courtyard of the French-colonial era Metropole hotel, before returning indoors. 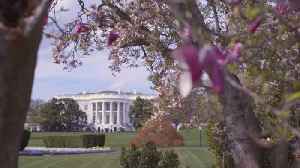 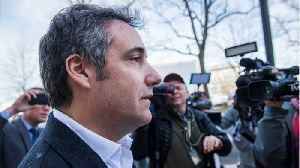 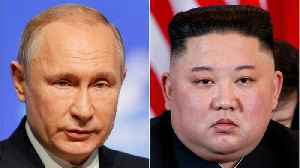 The two leaders are scheduled for a series of meetings at the Metropole, beginning with another one-on-one session lasting 45 minutes, the White House said. 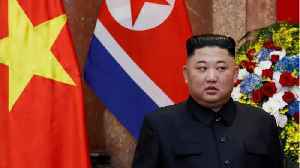 Both sides have expressed hope for progress on the U.S. demand for North Korea's complete denuclearisation, although there has been some criticism in the U.S. that negotiations are not moving quickly enough. 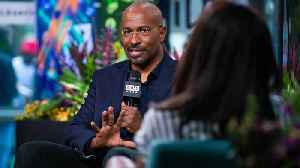 While chatting about his new CNN series, "The Redemption Project," Van Jones shares how it's been working with Kim Kardashian-West so far, saying that she "put on a cape and didn't take it off."